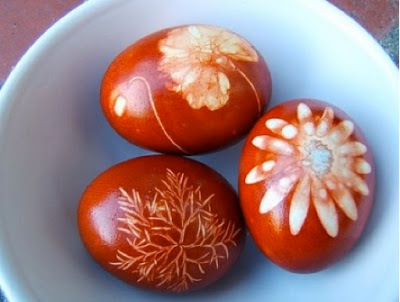 SPACE FOR INSPIRATION: Easter eggs.. I am a Swedish nomad who has lived and worked in many parts of the world. I thrive on all things creative and love the interaction with inspired people. I live my life with the aim to generate and pass on as much positive energy as I possibly can. I love my family and feel incredibly privileged to be the mother of two wonderful children! My beautiful circle of friends..
Kindly featured, mentioned, showcased here..
'Bloggers Wishlist' over at Lanalou Style..
Summer post card from Sydney..
elaborate as the ones below, but it is great fun! 'National Geographic' magazine - isn't this amazing!? traditional Easter table, but where does one find the time.. I wish my days (& energy levels) allowed for things like this..
patterns - they are amazing! Love the colours as well. 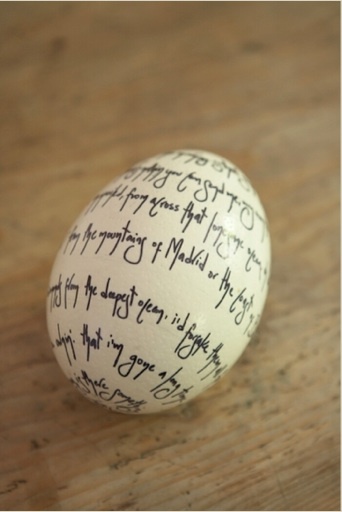 this egg that was done for Sweet Paul as part of a shoot. Easter-over-night-guests would be a magnificent treat..
What Easter treats are you guys cooking up this year? Charlotta, so amazing, and the time involved. Artists like this just put me in a state of awe! 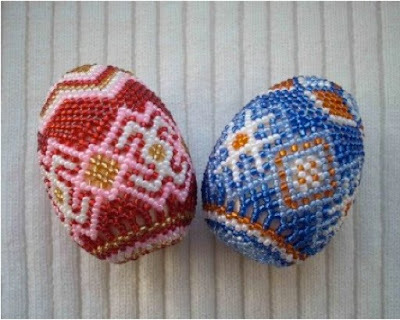 A very sweet post about Easter Eggs...ephemeral and fragile, here for such a short time! I am in awe of people who can create with their hands. Amazing. wow, that national geographic one especially is amazing! love the sweet paul one too. i love easter and i love seeing artsy easter eggs. No it isn't that bad really.. just beating myself up for not having staged any kind of Easter crafting sessions this year..
Off to collect the old Easter carrots from storage now.. Happy Easter to all - hope you have a relaxing break! 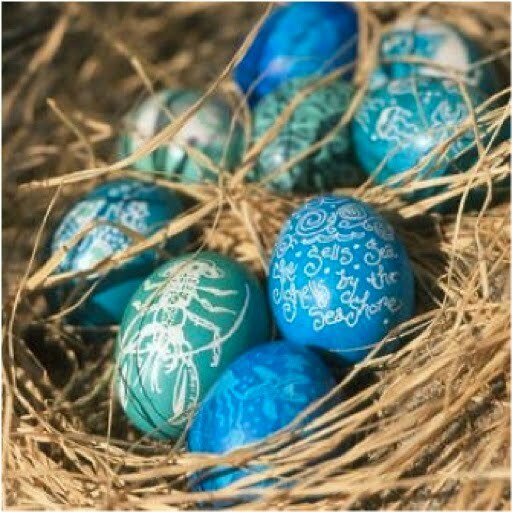 If one could find the time to decorate Easter eggs like this, the result would be a wonderful and rare personal collection over the years, indeed! Among my many travels, I’ve picked up quite a few eggs made with different materials and also from the original shells. My favorites are the ones with fine etchings in silver, copper and gold; delicate jewel-stone patterns and intricate engravings. 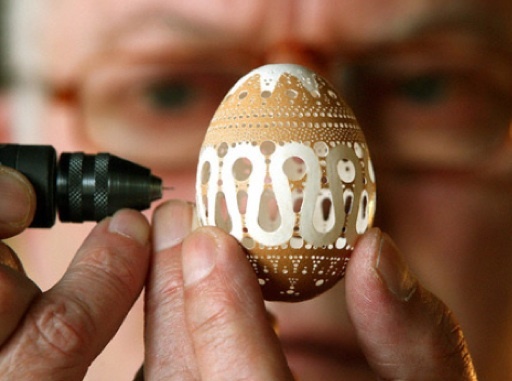 The amount of detail and care that go into the creation of these eggs is awe-inspiring. You’ve got a lot of design ideas here – good luck with your Easter-egg making! Time in Stockholm right now.. Images shown on this blog are referenced by the 'via source' - i.e. the place where I found them. To locate the original source of an image please use the link provided to back-track. Please note that at times I may post images without being able to provide you with a source, and at times I may even state the incorrect one (oh horror!). If this happens I apologize sincerely and ask that you contact me via email to help me correct my mistake and/or fill in the missing link..
Should you wish to use any the images seen on this blog, or paraphrase any of my words, please reference back to 'Space For Inspiration' by name and live link. Kindly note though that any use of images of my children are strictly forbidden. I know you understand.. If you are in immediate need of a good laugh..